Electric chainsaw with power input 2000W. Bar length – 35 cm, weight – 4,2 kg. 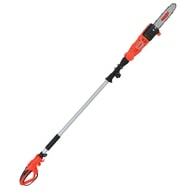 Electric powered prunning saw with telescopic (+ 95 cm) handle. 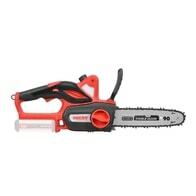 Electric powered chainsaw with power rating of 2400 W. 3/8" micro chain included. SOFT-START. 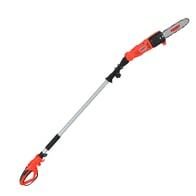 Electric pruning saw with telescopic handle (+- 86 cm). 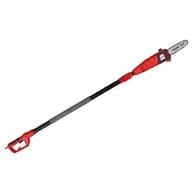 Electric chain saw with input 2400 W. Length of rail 40 cm. Weight 5.6 kg. Soft-start. Electric powered chainsaw with power input 2400 W. Equipped with 40 cm bar with micro 3/8“ chain. Soft-start. Petrol powered chainsaw equipped with 30 cm bar for hobby use. Powered by 2-stroke engine. Integrated hook for belt. Electric powered chainsaw with power input 2400W. Equipped with 40 cm bar with micro 3/8“ chain. Quick bar/chain demounting by hand. SOFT-START. Petrol chainsaw Hecht 50 with primer. Power 2.9 HP. Rail length 40 cm. Weight 6 kg. 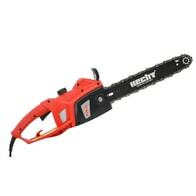 HECHT 941 – petrol chainsaw with displacement of 40 cm³. Length of the bar – 35 cm, weight – 4,7 kg. HECHT 44 BOX – petrol chainsaw, plastic box included. Power – 2,7 HP, length of the bar – 40 cm, weight – 5,4 kg.